Suitable for ISDN and DSL applications. 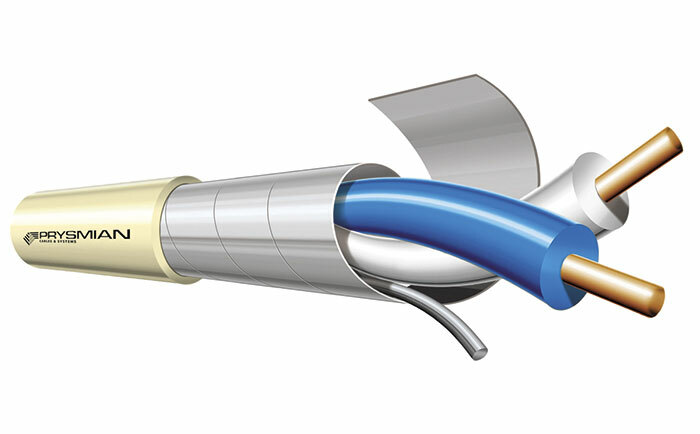 Internal telephone cable for 2 Mbit/s rate and 120 ohm @ 1 MHz. 1/0.5 PACW, polyolefin insulated, twisted pair, aluminium/laminate screen with a 1/0.50 mm tinned annealed copper drain wire, LSOH thermoplastic sheathed, ACMA approved. Off-white coloured sheath.